CREDIT CARD REQUIRED TO REGISTER: We want to protect against fake bidders and underage persons bidding against you. Your credit card information is used to verify identity and address. BUYER PREMIUM: 10% BP - Example $100 bid is $110PAYMENT: Cash, check, or credit card accepted. Pay at loadout on 5/10. If you'd like to skip the cashier line at check, email us after the auction and we will charge the credit card you registered with.Cash or check accepted at pickup. Invoices over $1,000 will be required to pay cash or check.You will be charged for the items you purchased, even if you do not pick them up. Nebraska sales tax of 5.5% will added to your invoice.All sales are final. Absolutely no refunds.PICKUP & SHIPPING: Please read carefully. All items must be picked up Friday 5/10 from 2:00-6:00 PM near Amherst, NE.. Address will be included with your invoice. No exceptions to this time. DO NOT BID IF YOU CAN'T PICKUP AT THIS TIME. You will be charged for the items you purchased, even if you do not pick them up. Shipping available on smaller items. All packing, materials, shipping and insurance cost will be charged to the buyer. Items will be insured for the purchase price + buyer premium. We recommend only shipping items that are reasonable size.BUYER WILL NEED TO BRING AS MUCH AS HELP AS THEY NEED TO LOAD THEIR ITEMS AND MATERIALS TO BOX OR PACK THEM. AUCTION COMPANY WILL NOT ASSIST IN MOVING, LIFTING, OR LOADING ITEMS. STAGGERED CLOSING: Auction uses a soft close bidding feature to create a live auction atmosphere. Any bids placed within the last 2 minutes of an item will extend that item 2 minutes. This will continue until there are no bids placed inside the last the minute of the item.NONPAYING BIDDERS: We will charge your credit card on file if you do not pay at the scheduled pickup time. We will also block you from participating in future auctions. NO REFUNDS. IF DON'T INTEND ON FOLLOWING THROUGH WITH YOUR PURCHASE, DO NOT BID.CONDITION: All items sell in as-is condition, no warranties expressed or implied. All sales are final.CATALOG DISCREPANCIES: You are bidding on the described item not the picture. Descriptions are believed to be accurate but not guaranteed. When you are not certain of the condition or use of an item, please bid accordingly. Please let us know if there is an error. All sales are final, no refunds.TITLES: A $25.00 Title fee will be charged to the buyer for any titled item. Titles will be mailed to buyer via certified mail within 14 business days of items being paid for and picked up. NO EXCEPTIONS. GUN TERMS: You must have a valid Nebraska Firearm Purchase Permit, Nebraska concealed carry permit, or FFL license. 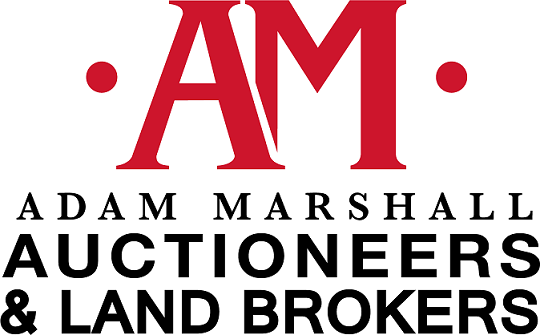 Adam Marshall Auctioneers, LLC is licensed Federal Firearms Dealer (FFL). All federal and state gun laws with be followed. Buyers will complete a form 4473 with a $10.00 transfer fee per gun and the transaction will take place at our office in Kearney, NE. Shipping prices are for the lower 48 states period all shipping costs are flat rate. ALL firearms will ship adult signature required. PISTOLS/HANDGUNS first firearm ships for $30, each additional ships for an extra $10 each. RIFLES/LONG GUNS first firearm ships for $50, each additional ships for an extra $25 each.Auction company or seller are not responsible for accidents or injuries while picking up items at the seller's premises.1. AMA is providing internet only bidding for this auction. Bidder acknowledges and understands that this service may or may not function correctly at any time, including the auction closing time. Under no circumstances shall Bidder have any kind of claim against AMA or anyone else if the internet service fails to work correctly before or during the auction closing time. AMA will not be responsible for any missed or failed bids from any source. Internet bidders who desire to make certain their bid is acknowledged should place their maximum bids at least two hours prior to the auction closing time. AMA reserves the right to withdraw or re-catalog items in this auction. In the event of any software problem, mistake or other issue, AMA reserves the right to extend the closing times, change the extension time, stop, restart or cancel this auction at its sole discretion. Even though an item may display as "sold" on the internet, no sales are final until they are certified by AMA and Bidder receives an invoice. AMA reserves the right to cancel any or all sales and resell the items in whatever manner it chooses.All property shall be removed from the premises by the Bidder at her/his own risk and expense within the time period announced. ALL MERCHANDISE PURCHASED AT THIS AUCTION MUST BE REMOVED AT THE SCHEDULED PICKUP TIMES LISTED. NO EXCEPTIONS! 2. If a check accepted by AMA is returned for any reason, Bidder agrees that AMA may re-present it in person or electronically and collect the full amount of the check as well as a $35 charge. Any amount left unpaid shall accrue interest at the highest rate allowed under Nebraska state law. Unless exempted by law, the purchaser shall pay all applicable taxes. Bidder agrees to indemnify AMA against any claim if sales tax is not collected on Bidder's purchases. Bidder agrees to not stop payment on any check paid to AMA. Bidder further agrees that under no circumstances will he/she initiate a chargeback on his/her credit card. Title to the merchandise transfers to Bidder only when Bidder's payment is honored.3. AMA may refuse registration and bidding privileges to anyone for failure to pay previous auction invoices, failure to provide a valid credit card or any other reason. Bidder hereby agrees that AMA may share information about Bidder's non-payment of auction invoices or shipping charges with other parties and may pursue collection of balances due by any legal means. Bidder agrees to provide any identification AMA may request including but not limited to: driver's license & state ID card. Bidder agrees to comply with any stated additional terms or conditions associated with particular items.4. Any/all Purchasers will be expected to rely upon his/her personal inspection or investigation of the property being offered at the Auction, or that of an approved party to Buyer, and not upon any representation of warranty or condition by the Seller or the Auction Company. Seller or Auction Company will, in NO WAY, be held responsible for any discrepancies, damage or loss of any property of the Buyer once the Auctioneer says SOLD.5. By registering for this auction you agree to be added to AMA's email list. Each email we send has an easy unsubscribe link at the bottom of the email. Please do not report our emails as spam. Photo, video and audio recording is being made at all auction exhibitions and removal events. We hope you enjoy our auction and are able to make many advantageous purchases.All sales are final.